Increase Twitter Followers Rapidly is a kind of hype many bloggers and webmasters seek for. They believe that, to is a kind of hype many bloggers and webmasters seek for. They believe that, to increase Twitter followers is synonymous to increasing rapid indexing by Google and the increase Twitter followers will be seen as a reflection on number of unique visitors. In this article, Increase Twitter Followers Rapidly; we will discuss the ways to Increase Twitter Followers Rapidly in both free and paid ways and most importantly, what is the impact of this Increase Twitter Followers Rapidly on SEO. Try to understand the way you talked in Twitter, which once increased Twitter followers by 3-4 at a time. Its that tone, people might want to hear from you. Follow as many as you can, Follow only people who follow you, return back follow as gifts. It is not a secret that you can buy Twitter Followers by just paying some money. There are paid automated tools, those can increase Twitter followers rapidly. However, for legal reason, we will not mention them. Actually, the real, active Twitter followers; who will re-tweet back is valuable. 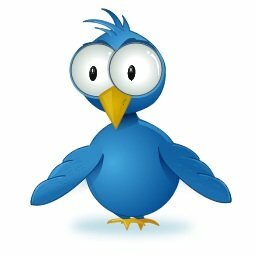 You can see we have only 500 Twitter Followers (at the time of writing) BUT I get more re-tweet than a blogger who has bought a “4000 pack” twitter followers. Many real peoples regularly tweets our posts : some for free downloads, some for the evergreen blog posts. Twitter has great value in SEO for instant indexing. But, it is not the fact that if you try to increase Twitter followers rapidly by “buying a pack of followers” it will work. It will not work because the total system is designed in a way (Google + Twitter) that it does recognizes the improvised methods of getting more followers. Moreover, there is chance to get an banned account if you try to increase Twitter followers rapidly. Its very unlikely to get back the account again. Its up to your target which you want : better SEO by getting real human Twitter Followers or using the shortcut methods to Increase Twitter Followers Rapidly. This Article Has Been Shared 8605 Times! now? I surprised with the analysis you made to create this actual put up amazing. Cite this article as: Abhishek Ghosh, "Increase Twitter Followers Rapidly : Ways, Problems and Effectiveness," in The Customize Windows, July 18, 2011, April 25, 2019, https://thecustomizewindows.com/2011/07/increase-twitter-followers-rapidly-ways-problems-and-effectiveness/.